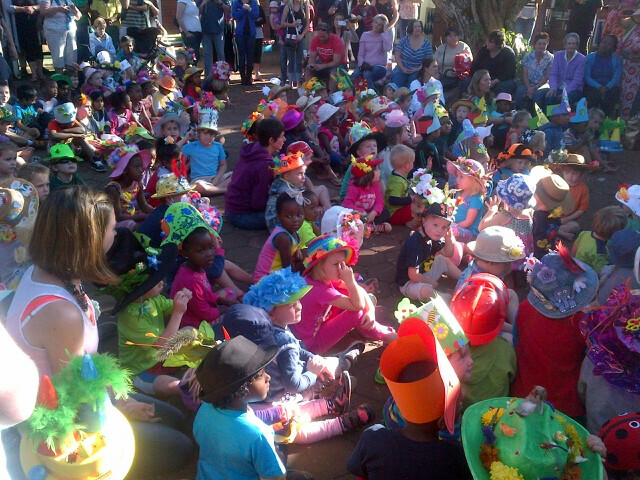 On Friday 06 September, Kloof Pre-Primary celebrated the Spring. 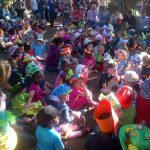 The children came dressed in flowered hats, and some of the creative ideas were amazing. We had a brief “assembly” with the children gathered together in the school courtyard, and a prayer of thanksgiving for the Spring. Then the children paraded their hats, and proceeded down to the garden with plants they had bought to plant. (the plants were obtained from S.P.C.A. because the school likes to support S.P.C.A. They are indigenous plants so that we can reinforce the concept of planting indigenous and caring for Nature. After that, the children and parents were treated to novelty races and competitions, and everyone enjoyed a picnic in the school garden. Altogether, it was a lovely occasion, enjoyed by parents, staff and children.